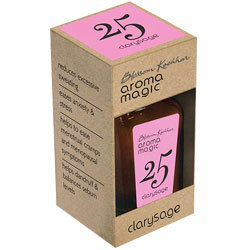 Aromamagic Clarysage Oil Reduces Excessive Sweating, Eases Anxiety & Stress, Menstural Cramps & Menopausal Symptoms. Helps to ease menstural cramps and menopausal symptoms. Helps Dandruff and Balances sebum levels.